This Fayetteville, North Carolina motel features a microwave and free Wi-Fi in every room. Guests at the property are off Interstate 95 Exit 49 and 25.3.5 miles from Fort Bragg United States Army installation. 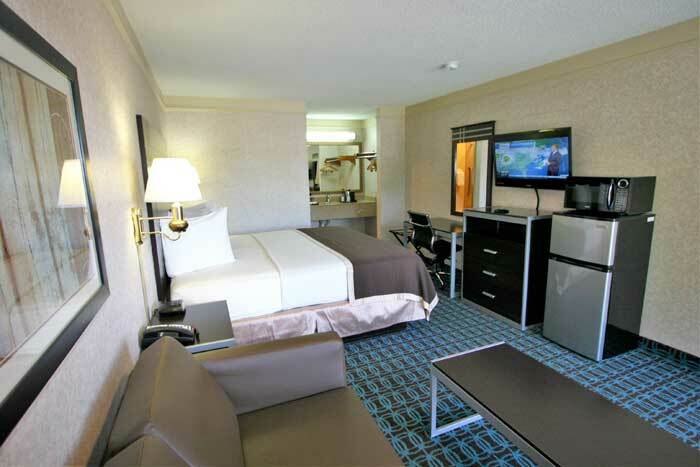 Cable TV, refrigerator, and coffee machine are standard in every simply furnished room at this Fayetteville Deluxe Inn. Extras include a sitting area and a hairdryer. 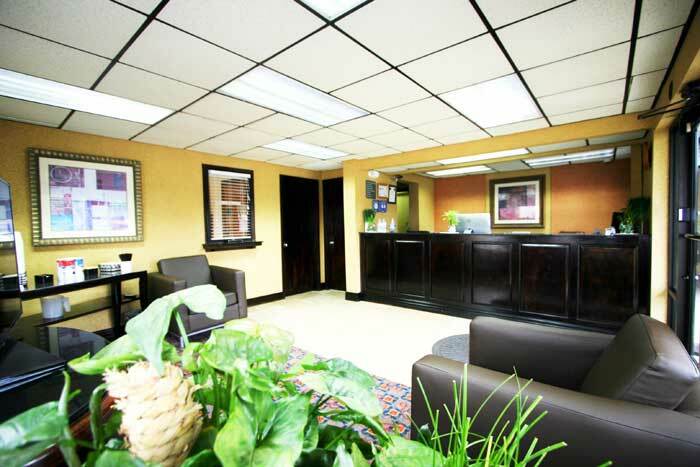 A 24-hour front desk and an on-site vending machine are available for added convenience. 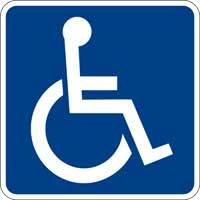 Deluxe Inn Fayetteville provides free parking as well. The motel is a 10-minute drive from the Special Airborne Museum and 8 miles from the Fayetteville Regional Airport. Downtown Fayetteville is 5 miles away. Fort Bragg Military base and other events in Fayetteville. Hospitals : Cape Fear Valley Medical Center 1638 Owen Dr Fayetteville, NC (910) 609-4000 Cape Fear Valley: Fayetteville's Preferred Hospital & Medical Center For exceptional healthcare in Fayetteville, NC, come to the Cape Fear Valley Health System -- where caring physicians are committed to integrity, patient-centeredness and excellence throughout the entire healthcare process. For over 50 years, Cape Fear Valley Health has been the preferred healthcare provider for thousands of families from Fayetteville, Fort Bragg, Raeford, and beyond. Shopping : From shopping centers and outlet malls to simple boutique stores and one-of-a-kind shops, Fayetteville NC boasts incredible shopping experiences. University : Fayetteville State University 1200 Murchison Road • Fayetteville, NC 28301 • 910.672.1111 Academics that work! FSU is a public comprehensive regional university, offering degrees at the baccalaureate, master's, and doctoral levels. Committed to excellence in teaching, research, and service to the community, the university seeks to prepare its students and graduates to lead meaningful and productive lives. 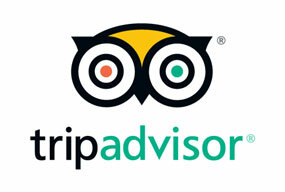 Welcome to our great hotel in Fayetteville North Carolina with affordable rates and cheap budget discount lodging. 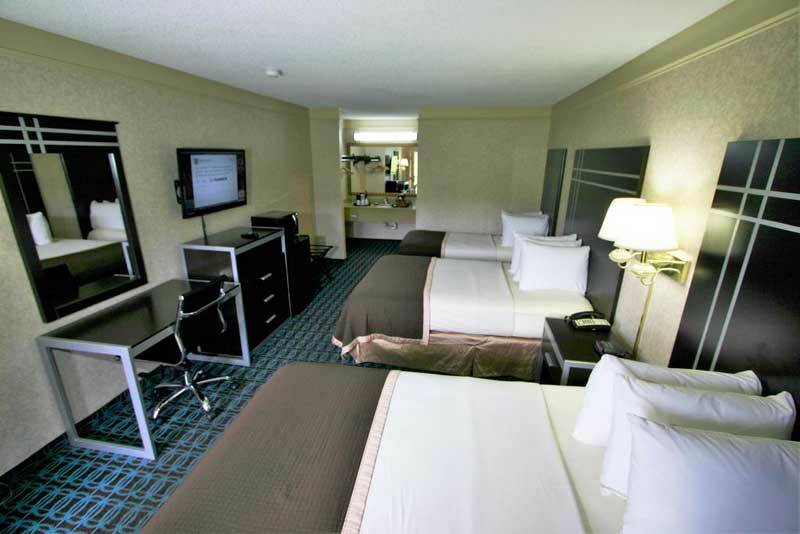 Deluxe Inn welcomes you to our budget hotel in Fayetteville North Carolina. Deluxe Inn will provide you excellent customer service with great amenities in comparison to all Hotels and Motels in Fayetteville North Carolina. Please visit us on your next stay in Fayetteville North Carolina and let us provide you with 4 star hospitality for 2 to 3 star budget rates. 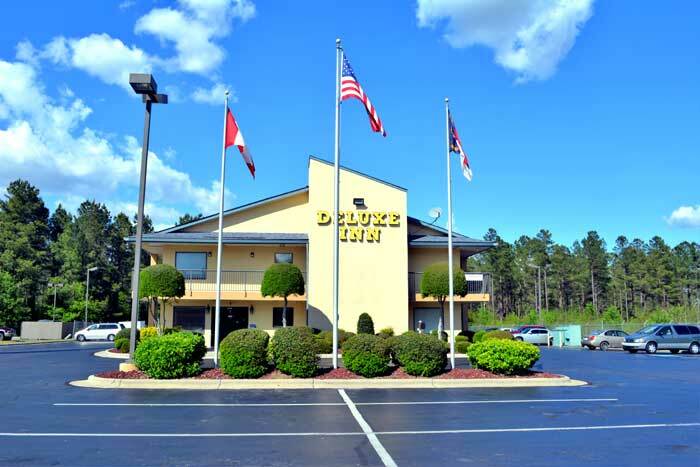 Deluxe Inn has been providing lodging and accommodations in Fayetteville North Carolina for several years and looks forward to providing our valued customer and business traveler with the best service in Fayetteville North Carolina for Hotels and Motels in our local area.